That's the dilemma facing three people who've contracted the G+ Virus, a terrifying new STD. What can graphic designer Verity, failing indie guitarist Weasel and roguish media personality Monty do in the time they have left? Fade away - or go out in a blaze of glory? 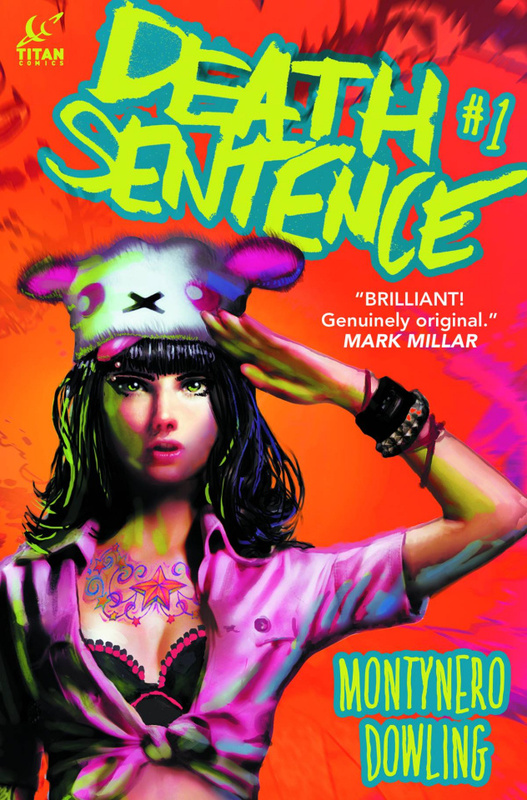 By turns funny, dark, sad and spectacular, Death Sentence is an emotional thrillride through celebrity, loss, passion and creativity. It's the jaw-dropping next stage in superpowered storytelling! Packed with unforgettable shocks, quotable dialogue and the character finds of a generation, this is an unmissable debut by two striking and confident new voices!